DAY 6: ‘Rastaman vibration, yeah! Positive!’ | A Woman Incorporated. Nothing and no one can describe today better than the lyrics of the legendary Bob Marley. 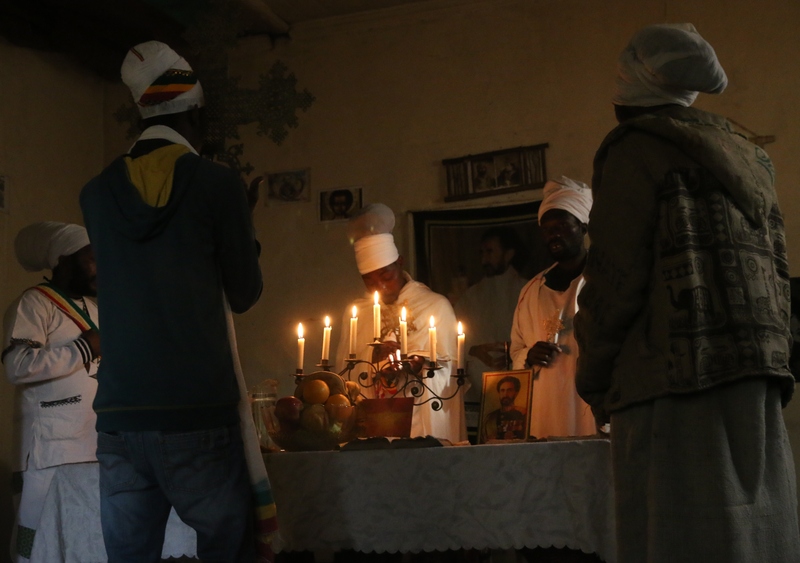 I used them in my title because they resemble the mystique of the Rastafari church service that I attended today. I was there early perhaps it was my excitement and the anticipation of what they service would be like. My arrival was met with a cloud of smoke. 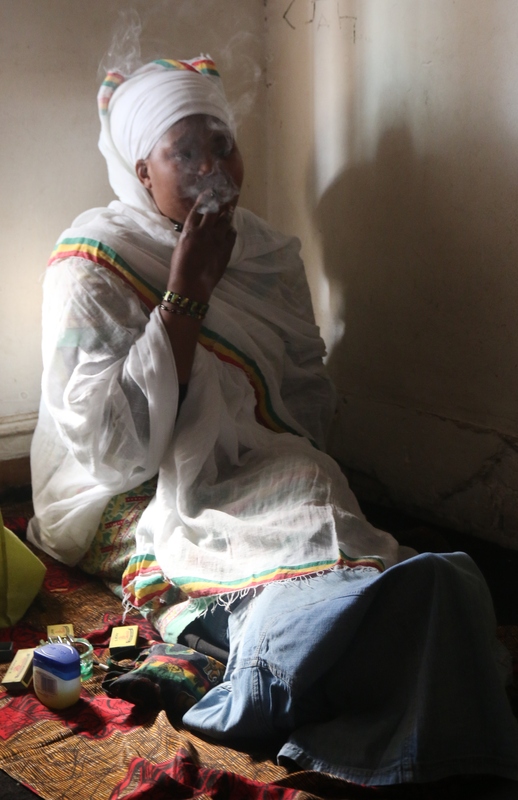 It was an infusion of burning incense, candle smoke and obviously, ganja. While I would have been put off the smell under normal circumstances because it would have induced an unbearable headache, I think I might have been enchanted by the look of the church. I come from a very conservative home with a conservative and extremely willed mother, so willed in fact that my younger sister and I were journeyed into Evangelism when we were young, even though we had Jewish heritage. So naturally, I know very little about praise and worship by other churches or denominations. This is why today was so brilliant. I was welcomed by a young Rastafarian chap who holds the door open with one hand and in the other a joint which he lit shortly after he told me to take a seat on the carpet. The church which is a convert of an old house is dark. The windows are closed and covered with curtains. There is very little light in the room a part from that which is provided by seven lit candles. I sat and I watched in awe as they sang and chanted different hymns, with the accompaniment of djembe drums. I was astonished by the fact that they were able sing for almost three hours without pause except to draw from a bible verse. 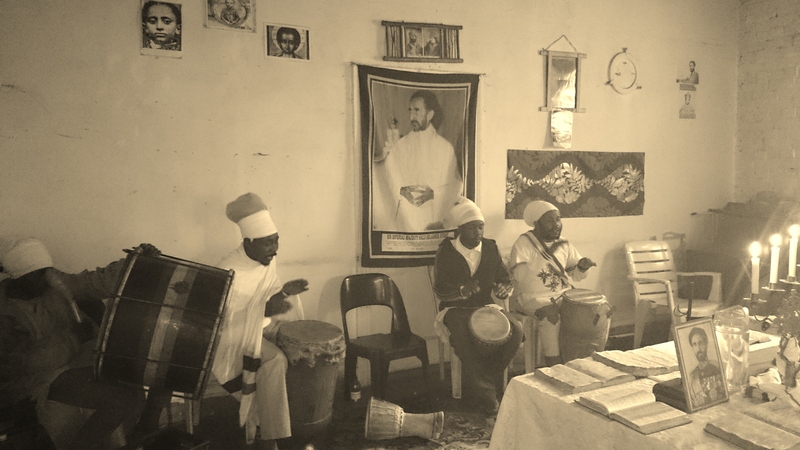 Another thing that puzzled me was that they praised Halie Selassie and not God. He’s their Jah. I guess I did not understand that until today. I must admit though, this realisation surfaced some guilt within me because I was always taught to believe there is nothing or no one else to worship but God. But there I was singing and chanting along with the Rastafari to, Halie Selassie? I was indeed enriched and I walked out with phenomenal understanding and appreciation to beliefs and rituals outside of my own. This in-depth journey, thus far has afforded me many an opportunity to open myself up to Yeoville, and they beauty it has to offer me. This is an incredible part in the final stretch in my journey to becoming a good journalist.